DUBAI, United Arab Emirates — Saudi Arabia's new king, Salman bin Abdul-Aziz Al Saud, is a veteran of the country's top leadership, versed in diplomacy from nearly 50 years as the governor of the capital Riyadh and known as a mediator of disputes within the sprawling royal family. Salman, 79, had increasingly taken on the duties of the king over the past year as his ailing predecessor and half-brother, Abdullah, became more incapacitated. Abdullah died before dawn Friday at 90 years old. Salman had served as defense minister since 2011 and so was head of the military as Saudi Arabia joined the United States and other Arab countries in carrying out airstrikes in Syria in 2014 against the Islamic State, the Sunni militant group that the kingdom began to see as a threat to its own stability. He takes the helm at a time when the ultraconservative Muslim kingdom and oil powerhouse is trying to navigate social pressures from a burgeoning youth population — over half the population of 20 million is under 25 — seeking jobs and increasingly testing boundaries of speech on the Internet, where criticism of the royal family is rife. Salman's ascension hands throne to yet another aging son of Saudi Arabia's founder, King Abdul-Aziz Al Saud, who is thought to have had more than 50 sons from multiple wives. Salman's health has been a question of concern. He suffered at least one stroke that has left him with limited movement on his left arm. The Saudi throne has for decades passed between Al Saud's sons. But each succession has brought the kingdom closer to a time when the next generation — Al Saud's grandsons — will have to take over. The family has successfully managed to close ranks throughout the years, but a generational change raises the specter of a power struggle by placing the throne in the hands of one branch at the expense of the others. King Abdullah had carried out a slow but determined series of reforms aimed at modernizing the country, including increasing education and nudging open the margins of rights for women. Salman appears to back those reforms, but he has also voiced concerns about moving too fast. In a 2007 meeting, he told an outgoing U.S. ambassador that "social and cultural factors" —even more than religious — mean change has to be introduced slowly and with sensitivity, noting the power of the multiple tribes in the kingdom, according to an embassy memo of the meeting leaked by the Wikileaks whistleblower site. He struck the same theme in a 2010 interview with Karen Elliot House, author of "On Saudi Arabia: Its People, Past, Religion, Fault Lines." He told her that while Americans are unified by democracy, Saudi Arabia is in essence unified by his family, the Al Sauds. "We can't have democracy in Saudi Arabia, he said, because if we did every tribe would be a party and then we would be like Iraq and would have chaos," House told The Associated Press. That was House's second meeting with Salman. Her first was in the 1980s when, she said, he "seemed to be rather kind of stiff and regal and he pontificated more than he responded." But in 2010, "he was a different guy, kind of softer and less formal and much less self-important." Salman was one of so-called "Sudeiri Seven" — seven sons born to one of Abdul-Aziz's most favored wives, Hussa bint Ahmad Sudeiri. The seven full-brothers were seen as a center of power within the family. Abdullah's predecessor, King Fahd, was among the seven, as were Abdullah's first two crown princes, Sultan and Nayef, who died in 2011 and 2012 respectively before ever reaching the throne. 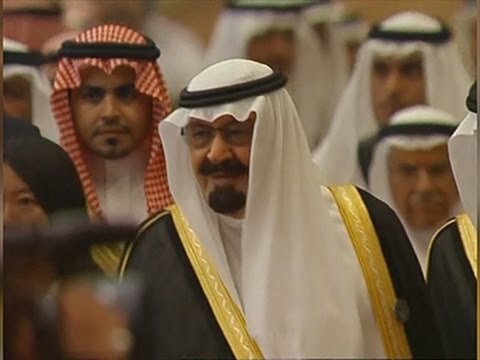 The Al Saud family has long sought to keep a united front, papering over any internal disputes to keep the stability of its rule. Salman appears to have played a frequent role in ensuring that unity. The 2007 U.S. Embassy memo said he "is often the referee in family disputes." It pointed to an incident after King Abdullah formalized the Allegiance Council, a body of top royals that is tasked with voting on succession issues based on merit and not just age. Salman's eldest living brother, Abdul-Rahman, was outspoken in his criticism of the arrangement, but Salman bluntly told his brother to "shut up and get back to work," according to the memo. Salman is also known to have extensive contacts among the country's tribes and his influence is further extended through a network of family businesses, including a stake in the pan-Arab newspaper ASharq Al-Awsat. At a relatively young age, Salman became the governor of Riyadh in 1963 and over the next 48 years he oversaw its transformation from an isolated desert town into a crowded city of skyscrapers, universities and Western fast-food chains. He also saw it struggle to keep up with demand for affordable housing and sufficient public transportation for its 4 million residents. The post made him well known internationally, as he played host for VIPs and international envoys and helped secure foreign investment for the country's heartland and capital. He was elevated to defense minister in 2011, and then Abdullah named him crown prince — heir to throne — when Nayef died. In discussions with U.S. diplomats in 2007 revealed in several memos, Salman spoke out against militancy, but added that Jewish and Christian extremism has fed Islamic extremism — even warning that the United States will one day see a threat from Jewish and Christian radicals. He told the Americans that the key to bringing stability to the Middle East is to resolve the Israeli-Palestinian conflict, adding that Israel is "a burden on the U.S."
Another son with influence is believed to be Prince Mohammed, the eldest son from Salman's third wife. In his 30s, Mohammed is the head of his father's royal court.